Nearly 6 years ago, Yesudas started coming to attend the monthly Bible Classes that we conduct for Village pastors. He found these classes to be spiritually profitable. At the time, he did not ask for any financial support, but was coming to learn Systematic theology, Biblical Theology, Sermon Preparation (Preaching), and lessons in Ecclesiology. HeartCry approached me to see if there were any eligible candidates that needed support. It was at that time, I introduced Yesudas to HeartCry to be supported financially. After five years of continuous support, we are pleased to inform you that Yesudas will now be supported fully by his own church. His church has grown to around 100 people, and thus, they are able and glad to take over their pastor’s support. He has been ministering in a village called J* for the last twelve years. Before he came to minister in this church, he went to Telugu Baptist Theological Seminary. Although he learned many theological truths there, it was only after he got in touch with us, that he came to realize the importance of the local church, and the necessity of preparation before preaching the word. Various HeartCry conferences helped him to understand what it means to pastor a church. Our emphasis on the gospel and the local church completely changed his thought process. He now realizes that preaching has to orderly, expository, and Christ-Centered. Although, the church is very happy to support him financially right now, the church is still in the process of becoming a healthy church. Not all the people that come to his church are converted. So please pray for genuine conversions. Also pray that the church may grow according to the Word of God and they may have an increasing desire to do everything according to the Word. Please pray that the church may grow in other areas as well, like church membership and discipline. In addition, apart from a few men, most of the people that come to the church are women. Part of the challenge in his ministry, is that most of the men in his village think that “religion is a woman’s thing.” They are very happy to let their wives go to church, but they themselves do not see the need to be born again and become Christians. Please pray that the women who are converted will have a positive influence on their husbands, and that they may win them to Christ through their Christ-like behavior (1 Peter 3:1). There are a few men in his church and he is hoping to teach them. Pray the Lord will raise up elders and deacons among them. Please pray that this church may be faithful in terms of sharing the gospel and the hope they have in Christ Jesus. 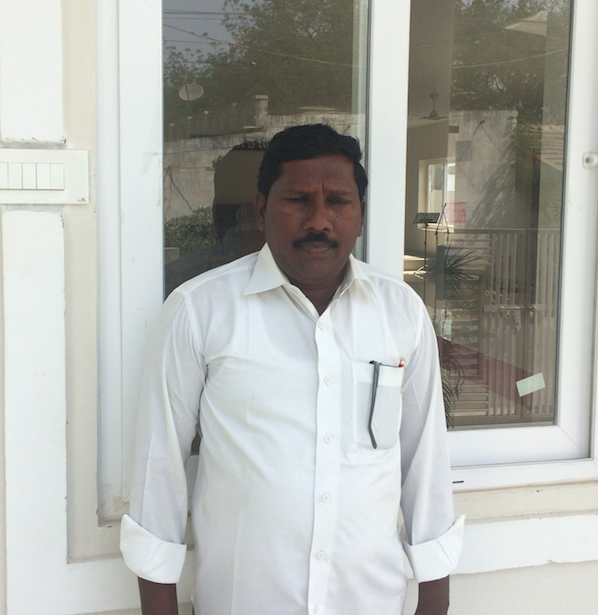 Yesudas is hoping to continue his fellowship with us by continuing to attend the Bible Classes every month. He desires to continue to learn and grow as a shepherd, and also see his church grow both spiritually and also numerically. We have promised Yesudas that we would give him all the resources (new books) we have to see him grow in the future. Yesudas and his wife have a daughter who was married last year. Please continue to pray for his family.